Welcome to The Wrege Family Site. We hope you'll help us build a resource for Wreges everywhere. 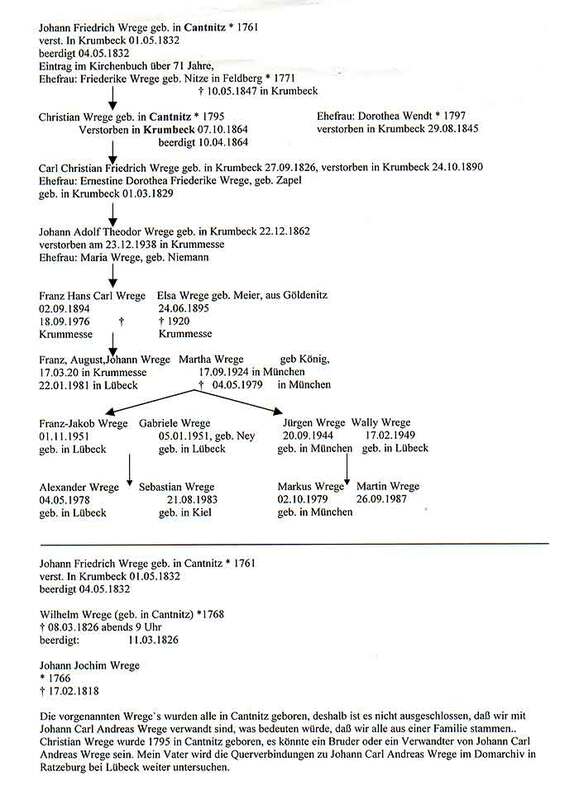 Everybody with our unique name has to be related , but the branches of the family we have so far don't connect. We need your help. Join in. Let's get to know each other. The rest of the Wreges want to know about you, your family and your ancetors.If you can share some information about your side of the Wrege family please let us hear from you. Hans-Joachim Wrege continues writing The Wrege News! Read the latest edition here. Bill Blauser is writing a book about fishing lures. He has found JAY L. WREGE of Stearns, KY patented a lure in 1923.